In October 2018, Dr. ir. ing. Sam Wouters received the Solvay Award for best PhD thesis. 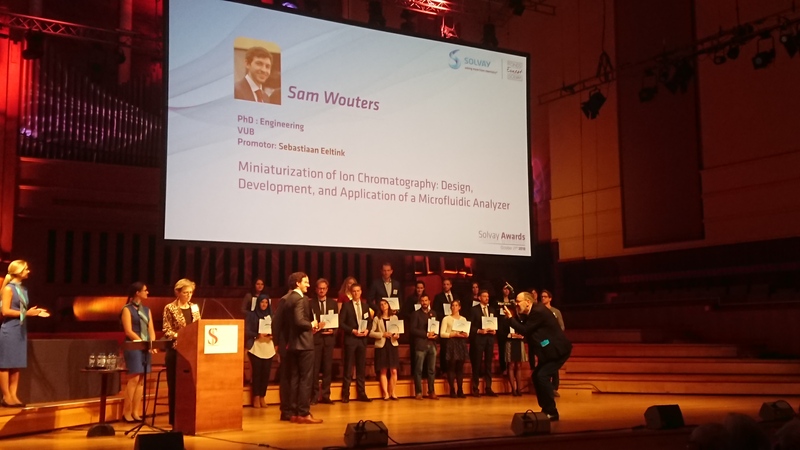 During his PhD study he worked on the design, development and application of a microfluidic analyzer for the analysis of ions in the Eeltink research group at the Department of Chemical Engineering (CHIS).